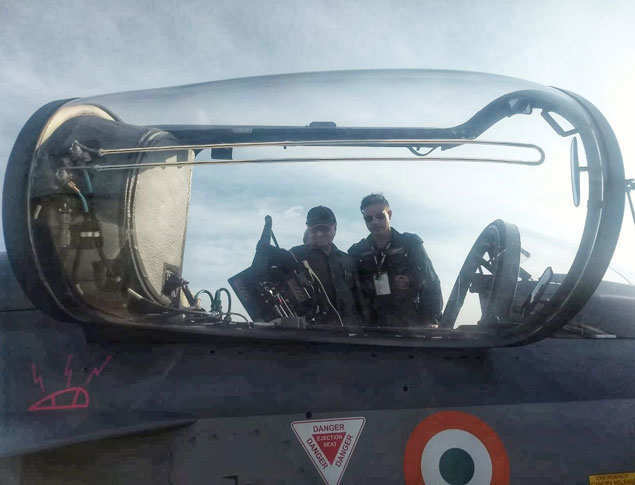 What Group Captain Samrath Dhankar, the demo pilot of India’s indigenously-developed Tejas Mk 1, thought would be a touch and go on the fighter’s unique strengths, with the Malaysian PM, turned out to be longish and stimulating one. Dr Mahathir was specially drawn to the neatness of the cockpit and the intuitive layout. The discussion lasted for 10 mins, with Dhankar even adding a personal flavor by telling the PM he had been to Malaysia before, under a defence exchange programme.